Queer|Art presents a new edition of the After Mentorship series at Danspace Project (131 E 10th St, New York, NY) with two evenings of performances by Neil Goldberg & David Antonio Cruz (May 23) and Angela Dufresne & Kerry Downey (May 24). Each evening is organized to highlight the unique relationships—creative, professional, personal, and otherwise—that have developed between these artists through their participation as Mentors and Fellows of the celebrated Queer|Art|Mentorship program. This year, After Mentorship is organized as part of Danspace Project’s Food For Thought series. The series presents two unique evenings of performance selected by a different guest artist curator each night. Admission each night is just $5 + 2 cans of food or $10, no reservation necessary. Canned goods are donated to the Momentum Project, which provides support to any person in need in NYC, especially those living with HIV/AIDS or other chronic illness. After Mentorship is a new series of exhibitions, performances, screenings, readings, and talks showcasing work by different pairs of Mentors and Fellows who have worked together through their participation in Queer|Art|Mentorship. Through curated presentations of their work, Queer|Art revisits the relationships of Mentors and their Fellows years later and considers the lasting impact of the Mentorship program on their lives and creative practices. The first edition of After Mentorship in 2018 featured three separate exhibitions by Liz Collins & Anna Campbell, Pamela Sneed & Heather Lynn Johnson, and Geoffrey Chadsey & Troy Michie, and was organized in Provincetown through partnership with HBO. Neil Goldberg makes video, photo, mixed media, and performance work about embodiment, sensing, mortality, and the everyday. This work has been exhibited at venues including The Museum of Modern Art (permanent collection), The New Museum of Contemporary Art, The Museum of the City of New York, The Kitchen, The Hammer Museum, The Pacific Film Archive, NGBK Kunsthalle Berlin, and El Centro de Cultura Contemporània de Barcelona, among others. David Antonio Cruz is a multidisciplinary artist and a Professor of the Practice in Painting and Drawing at the School of the Museum of Fine Arts at Tufts University. Cruz fuses painting and performance to explore the visibility and intersectionality of brown, black, and queer bodies. Cruz received a BFA in painting from Pratt Institute and an MFA from Yale University. Cruz’s work has been included in notable group exhibitions at the Smithsonian National Portrait Gallery, El Museo del Barrio, BRIC, Performa 13, and the Bronx Museum of Art. Angela Dufresne is a painter based in Brooklyn. Her work articulates non-paranoid, porous ways of being in a world fraught by fear, power, and possession. Through painting, drawing and performative works, she wields heterotopic narratives that are both non hierarchical and perverse. She is currently Associate Professor of painting at RISD. Kerry Downey is an interdisciplinary artist and educator based in New York City. Downey’s work explores relationality through the multitude of ways we inhabit our bodies and access forms of power. 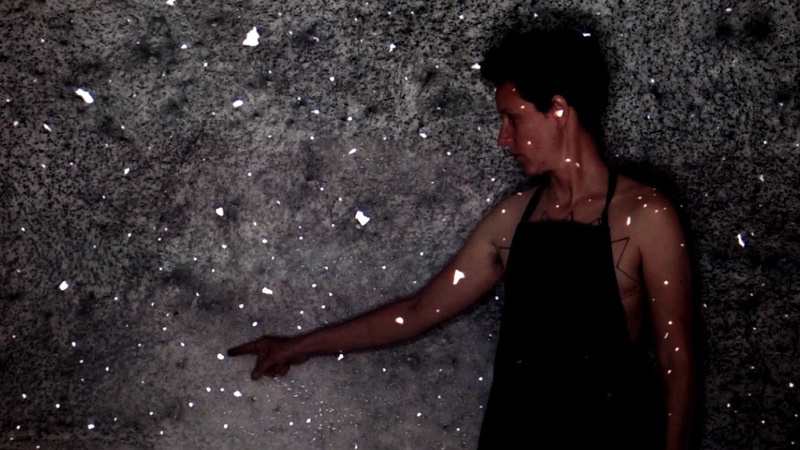 Downey works primarily in video with a practice that includes printmaking, drawing, writing, and performance. They’ve recently had a solo show at CAVE in Detroit and two-person shows at Knockdown Center and 20|20 Gallery in New York City.